The Fortune collection is a glamorous design with brilliant gleaming metalwork and K9 glass accents. Elegantly simple, the polished frame gracefully supports white diffusers to provide pleasing, even illumination. Unique stem-hung construction carries the clean line all the way to the ceiling and, for sloped ceilings, 6 in. chain is provided to allow the fixture to hang straight and level. 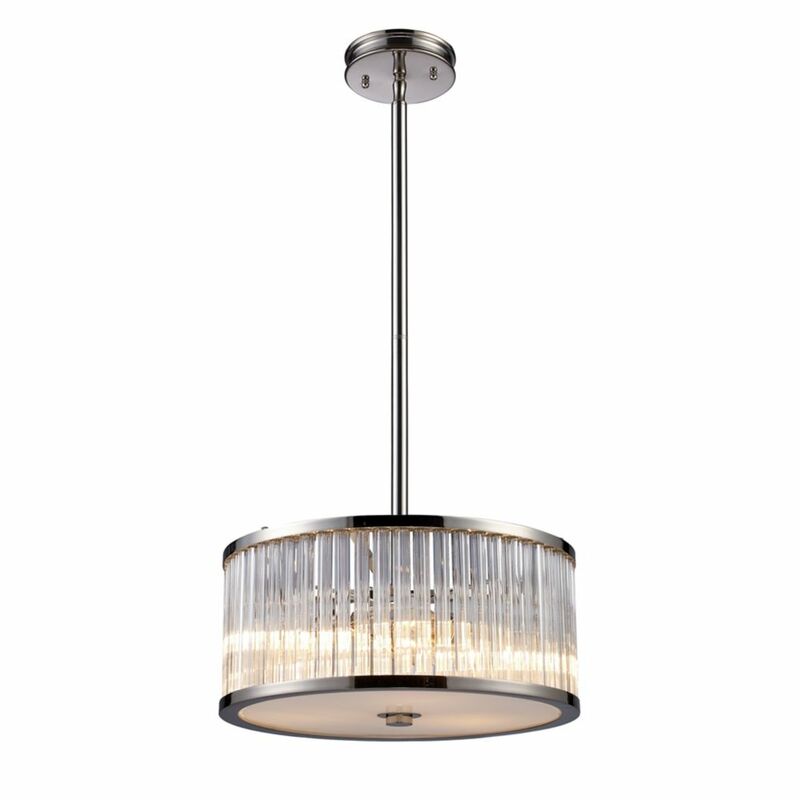 Braxton 3-Light Pendant In Polished Nickel The Insulator Glass Collection Was Inspired By The Glass Relics That Adorned The Top Of Telegraph Lines At The Turn Of The 20Th Century. Acting As The Centerpiece Of This Series Is The Recognizable Shape Of The Glass Insulator, Made From Thick Clear Glass That Is Complimented By Solid Cast Hardware Designed With An Industrial Aesthetic. Finishes Include Polished Chrome, Oiled Bronze, And Weathered Zinc.